SAVE 40% on our NEW CORDLESS Aluminum 1" Mini Blind! Comfort Blinds Aluminum Mini Blinds, sometimes referred to as horizontal mini blinds (1" slat), venetian blinds (2" slat), or micro blinds (1/2" slat) offer a clean design that works with virtually any room style. Our Aluminum Mini Blinds are among the best quality mini blind available and provide a low cost solution for the budget minded. 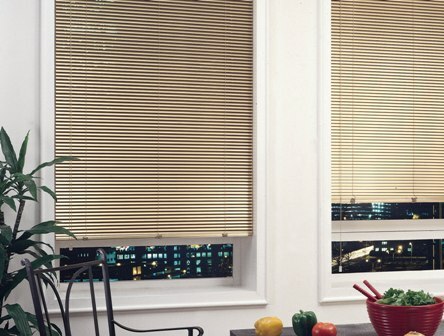 Comfort Blinds Aluminum Mini Blinds are available in a wide selection of color choices.